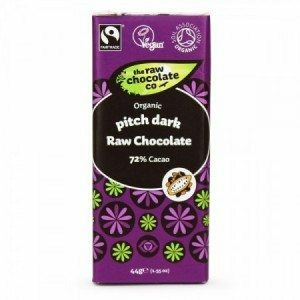 Dark Chocolate Nutrition - which gets your vote? 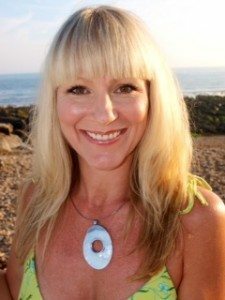 America and were used to make a bitter drink by the Mayans and Aztecs. The Maya used to brew a spicy, bitter sweet drink by roasting and pounding the cocoa beans with maize and capsicum (chilli) peppers and letting the mixture ferment. The drink was then used for religious ceremonies as well as a delicious drink for the wealthy and elite. The Aztecs of central Mexico also prized the beans, but because they lived further in the north, where the climate was not suitable for cultivation of the tree, they acquired the beans through trade or/and the spoils of war. The Aztecs prized the beans so highly they used them as currency – 100 beans bought a turkey or a slave – and tribute or taxes were paid in cocoa beans to Aztec emperors. 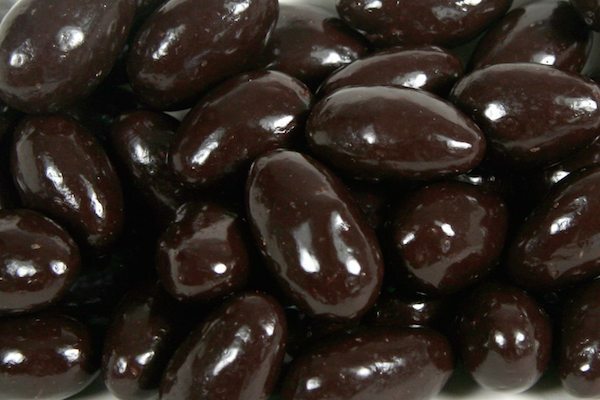 In the mid 1500’s, cocoa beans were introduced to Europe by the spaniards and soon became a delicacy. During the 17th century, chocolate houses were established across Europe. Traditionally, cocoa was used in beverages, often mixed with spices such as vanilla and cinnamon, and sometimes with a sweetener such as honey. Later milk was included, and the start of modern day chocolate drinks and confectionary began. The Aztecs called it Xocolatl but the Spaniards couldn’t pronounce it, so the word chocolate became common. Chocolate, in its natural unprocessed state, has been perceived as a superfood due to its high levels of anti-oxidants, vitamins and nutrients. In order to receive these health benefits you would need to buy the chocolate that has a higher cocoa content than 70%. Green and Blacks cover the Trinitario cocoa beans in banana leaves for 5 days before leaving them to dry. 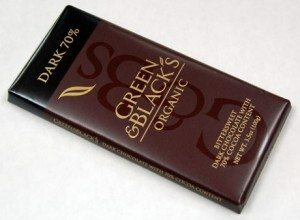 This chocolate is smooth and silky with a nice kick to it. Me: It is easy on the tongue and very likeable. Seed & Bean produce ethical and Fair-trade artisan chocolate handmade in England. They have been sourcing top quality chocolate from The Dominican Republic, Ecuador and the Sao Tome Islands of West Africa since 2005. Offering a kaleidoscope of 18 unique flavours which can boast vegan, organic and kosher credentials. Me: I found the initial taste of mandarin a little synthetic. The ginger seeps through followed by the chocolate which is nice, but the synthetic taste lingers, which is disappointing. The chocolate was originally hand made with one little machine from one shop in Brighton. 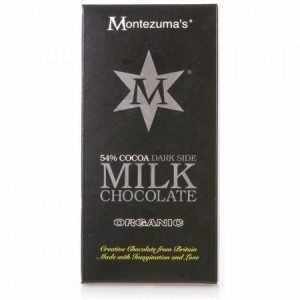 Since those early days Montezuma’s is now established as Britain’s leading and most innovative family luxury chocolate maker with a reputation far wider than a handful of shops! Me: It tastes very sweet in caparison with the others but smacks you with a hint of vanilla at the end making it very pleasant. Out of the 10 I reviewed this has the least amount of coca and most amount of sugar, therefore don’t be fooled into thinking you are being healthy. However they do have a wide range with one boasting of 73% cocoa. 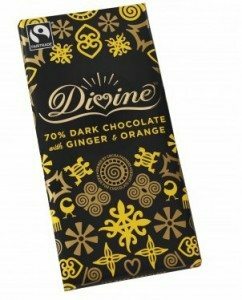 Divine is the only Fair-trade chocolate company which is 44% owned by cocoa farmers. Me: This was my favourite as the burst of ginger tantalises, then the orange melts beautifully with the chocolate on the taste buds. It is light and fluffy leaving you with a slightly chewy but delicious texture. I was left with a fresh zingy punch. Suitable for vegans, dairy free and gluten free. Me: Initially there is a wonderfully smooth, rich flavour, but on swallowing, that’s when you get a succulent warm aftershock of the chilli. This is a delicious mix! Raw or cold pressed ingredients (never heated above 42°C) generally means less energy is used during the preparation and that traditional methods are used, for example sun drying. Cacoa powder, butter and nibs are all non-chemically treated. Me: This one is for the bitter fans, too bitter for my tastes, however I do have a sweet tooth! I felt it left me feeling thirsty. 7. Plamil no added Sugar chocolate with sweetener xylitol. The ‘no added sugar’ bars use the sweetness of Xylitol. Xylitol is a well-known ingredient to most diabetics. Chocolate is also made in a ‘no nuts’ factory. Me: I was disappointed as the consistency was not smooth and it lacked a deluxe flavour. The after taste stuck to my palate! Equal Exchange chocolates and cocoas are crafted using only the purest ingredients, grown with care by small farmer co-ops. They source from these small farmer organisations because they believe they are the heart and soul of the Fair Trade movement. Me: This is a safe bet if you are buying this for someone who you are not sure if they like dark chocolate. It may persuade them to switch to the dark side, as it is delectable! In Italian the word GODO means to enjoy sensual pleasure, so that the great taste of their chocolate becomes an integral part of enjoying life. Me: It doesn’t say on the packaging how much sugar is in this small bar but it tastes quite sweet. It does leave you with an amiable savour. This company boasts of organic and fairly traded produce from co-operatives from Panama, Dominican Republic and Paraguay. Me: The healthiest of all these, with least amount of sugar, is unique and palatable. 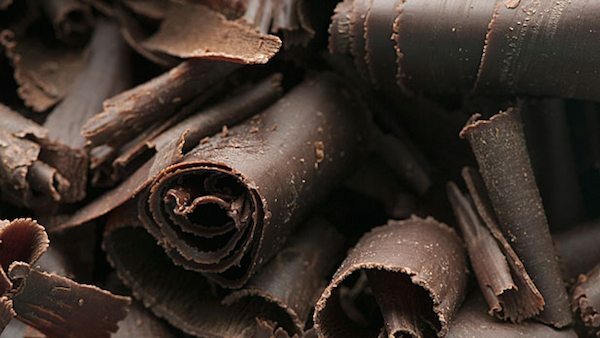 The silky texture disperses in the mouth leaving no bitter after taste, considering it has the most amount of cocoa. There are lots of lovely dark chocolate out there for you to try. 3 to 4 squares a day of 70% plus cocoa is the recommended amount to achieve all those lovely nutrients, so go on, treat yourself. Remember though, always read the label for excess sugar and aim for 25% sugar, or less.